The Beersheba District Court on Sunday convicted an Israeli man, Evyatar Dimri, for his role in the 2015 lynching of an Eritrean migrant who was mistaken for a Palestinian terrorist, with the defendant expected to receive a relatively lenient punishment after the charge was downgraded as part of a plea bargain. Haftom Zarhum, 29, an innocent bystander, was shot by a security guard in the minutes after a terror attack at the Beersheba bus station on October 18, 2015 that left an Israeli soldier dead and 11 people wounded. As he lay bleeding on the ground, a crowd of angry passersby � believing him to be the terrorist � beat him, some of them delivering powerful blows to his head and pummeling him with a metal bench. He died hours later in a hospital, and an autopsy ruled that the primary cause of death was the gunshot wounds. Dimri was caught on security cameras kicking Zarhum twice. He was originally charged with �causing injury with grave intent,� an offense potentially carrying a punishment of up to 20 years in jail. But in the plea bargain, Dimri confessed to �abusing the helpless,� a lesser crime carrying a maximum prison sentence of seven years, Hebrew-language media reported. The prosecution will reportedly only request that Dimri serve several months behind bars. But the sides have yet to agree on a sentence, which will be handed down on December 11. Dimri told the court Sunday that he was sorry for his actions, Haaretz reported. His legal counsel has requested a sentence of no more than 31 days in prison, comparing him to another defendant in the case, David Muial, who was sentenced to 100 days of community service earlier this year. In July, Muial similarly confessed to abusing the helpless and was also sentenced to eight months of probation and ordered to pay NIS 2,000 (approximately $550) compensation to Zarhum�s family. Dimri�s team said his punishment shouldn�t be more stringent than Muial�s, since Muial slammed Zarhum with a bench while Dimri didn�t use any object. Dimri was also said to be psychologically unstable and was hospitalized during his trial. Footage of the incident showed that, in the aftermath of the attack, as Zarhum lay helpless, surrounded by a large crowd of people, Muial approached and forcefully dropped a bench on him. People in the area moved Muial away and lifted the bench off the victim, but then two other suspects � including Dimri � moved in and kicked Zarhum hard in the head and his upper body. A fourth suspect then dropped the bench on the prostrate man again, to prevent him from moving. Other men charged in Zarhum�s killing are Israel Defense Forces soldier Yaakov Shimba and Israel Prisons Service guard Ronen Cohen, whose trials haven�t yet been concluded. Zarhum�s family is currently suing the state for damages, claiming negligence and failure to follow proper procedure caused his death. The lawsuit, filed last year at the Beersheba District Court, demanded NIS 3 million ($780,000) in compensation and that the National Insurance Agency recognize Zarhum as a victim of terror, entitling his family to additional state benefits. 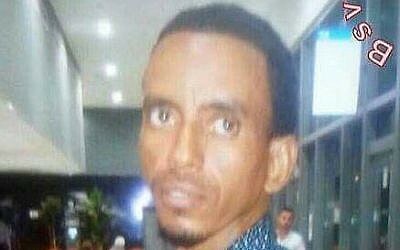 The National Insurance Agency has rejected recognizing Zarhum as a terror victim because the Eritrean had entered the country illegally.